Heat your grill pan over medium- high. 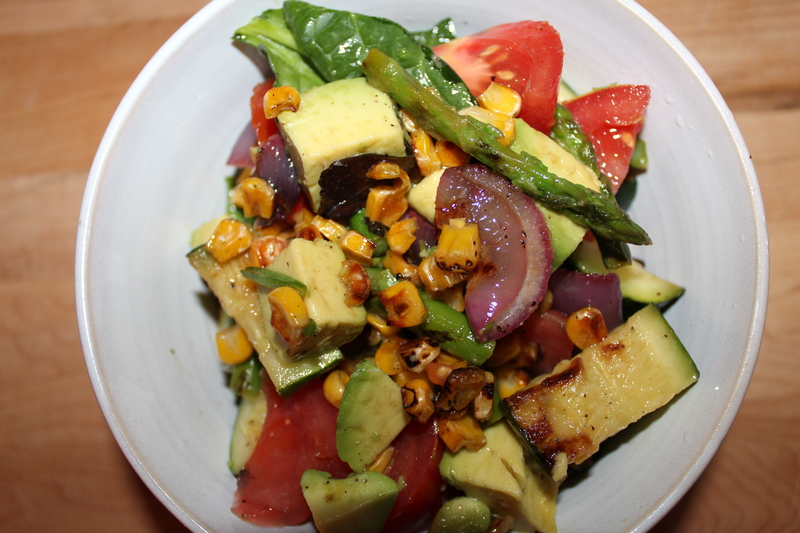 In a large bowl combine the corn, zucchini, asparagus and onions. Season them with olive oil, sea salt and freshly ground black pepper. Grill the vegetables, turning occasionally until grill marks appear and they are tender. Remove from heat. Cut the kernels off the corn. 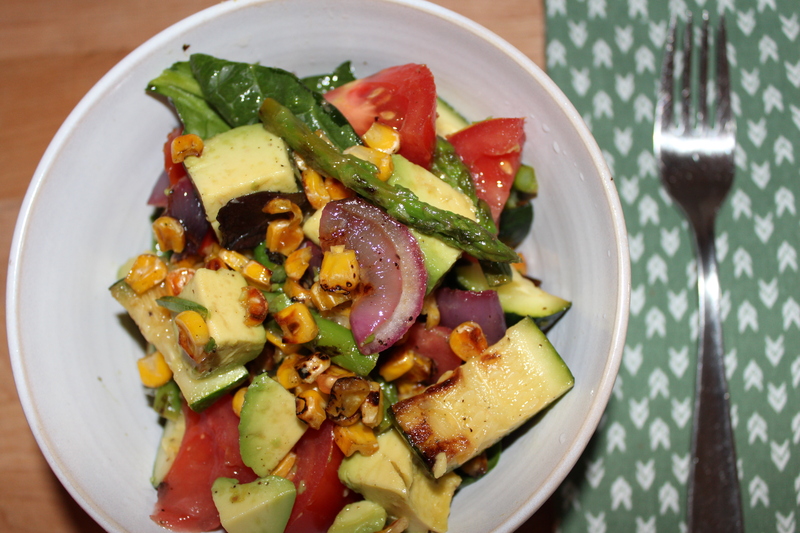 In a serving dish, add the grilled vegetables, tomato and avocado. In a small bowl, whisk together the lemon juice, olive oil, agave, salt and pepper. Pour the dressing over the salad and toss until all the ingredients are coated. I like the corn and I also like the zucchini.the crunchy vegetables contrast nicely against the cooked/grilled vegetables.